Watchable may not be the force he once was but he has been running well of late and looks the answer to the 32Red Handicap at Kempton. David O’Meara’s eight-year-old was rated as high as 110 a couple of seasons ago, placing at Listed and Group-race level on multiple occasions. A largely disappointing campaign in 2017 saw his mark fall to 90 for the start of this year and he has enjoyed a decent season, winning at Doncaster and Pontefract and running some fine races in defeat. He lines up for his latest assignment following successive runner-up finishes at Kempton and Newcastle in November and looks well placed to land a deserves success in this six-furlong event. 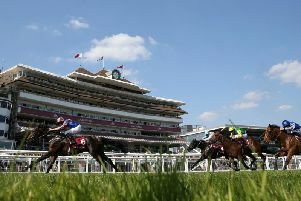 Panmolle can make it third time lucky for John Gosden in the 100% Profit Boost At 32redsport.com Maiden Stakes. The daughter of Lawman is a typically well-bred product of Khalid Abdullah’s Juddmonte Farms operation, with her dam - Panzanella - a half-sister to the mighty Kingman. 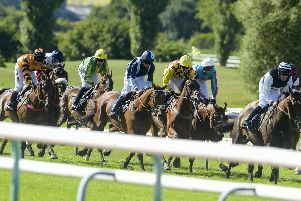 Panmolle was a favourite on her racecourse debut at Lingfield in September and although odds-on backers had their fingers burned, she finished second with plenty of promise. DUNDALK: 6.00 Kasbah, 6.30 Libras Power, 7.00 Smart Stinger, 7.30 Equitant, 8.00 Dawn Trouper, 8.30 Pampushka, 9.00 Secret Wizard. EXETER: 12.25 Get Wishing, 1.00 Volcano, 1.30 Remastered, 2.05 Siruh Du Lac, 2.35 Black Op, 3.10 The Two Amigos, 3.40 Edwardstone. KEMPTON: 5.15 Zahirah, 5.45 Just Later, 6.15 Risaala, 6.45 Riviera Claire, 7.15 Panmolle, 7.45 WATCHABLE (NAP), 8.15 Lightening Dance, 8.45 Your Band. SANDOWN: 12.50 Peppay Le Pugh, 1.20 Nebuchadnezzar, 1.55 Lillington, 2.25 QUOI DE NEUF (NAP), 3.00 Holbrook Park, 3.30 Ey Up Rocky. SEDGEFIELD: 12.10 Millie The Minx, 12.40 Nefyn Point, 1.10 Troubled Soul, 1.40 Apterix, 2.05 Travertine, 2.50 The Some Dance Kid, 3.20 Big Bad Bear.